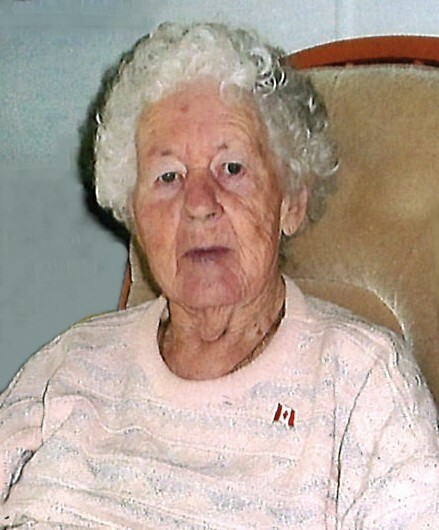 Lylia Florence Gowlett passed away peacefully at Hillcrest Village Care Centre, Midland, on Wednesday, January 23rd, 2019. Age 97 years. Loving wife of the late Alfred. Dear mother of Jerry Gowlett, and Donna and her husband James Alexander. Dear step-mother of Pat Corbett, Joan Downs, and the late Miriam Hinkle, Lona Mack, and Sonny Gowlett. Lovingly remembered by her many grandchildren, great grandchildren, and great great grandchildren. Dear sister of the late George, Nina, and Bob. Fondly remembered by her nieces, nephews, other relatives, and friends. Resting at the Logan Funeral Home (705-746-5855), 81 James Street, Parry Sound, where friends and family will be received on Monday, January 28th, from 10:00 – 11:00 A.M. Funeral Service will take place in the Logan Memorial Chapel on Monday, January 28th, at 11:00 A.M. Reception to follow. As expressions of sympathy, donations to the Alzheimer Society would be appreciated. Send a condolence to the family of LILA GOWLETT.